Episode 58: Fred Rogers Special - Won’t You Be My Neighbor? This is a show for those spiritual people who love film, and also those cinefiles feel that there is more to life than what we know. Each month, Robert and Mike will creativly evaluate a new film. What was Fred Rogers most scandelous secret? The docudrama at the heart of today's podcast, Won't You Be My Neighbor?, delves into this provocative question and other details from Fred Rogers' life. (Apparently, the most scandelous thing he did was give a generation a sense of entitlement because he taught them that everyone was special!) 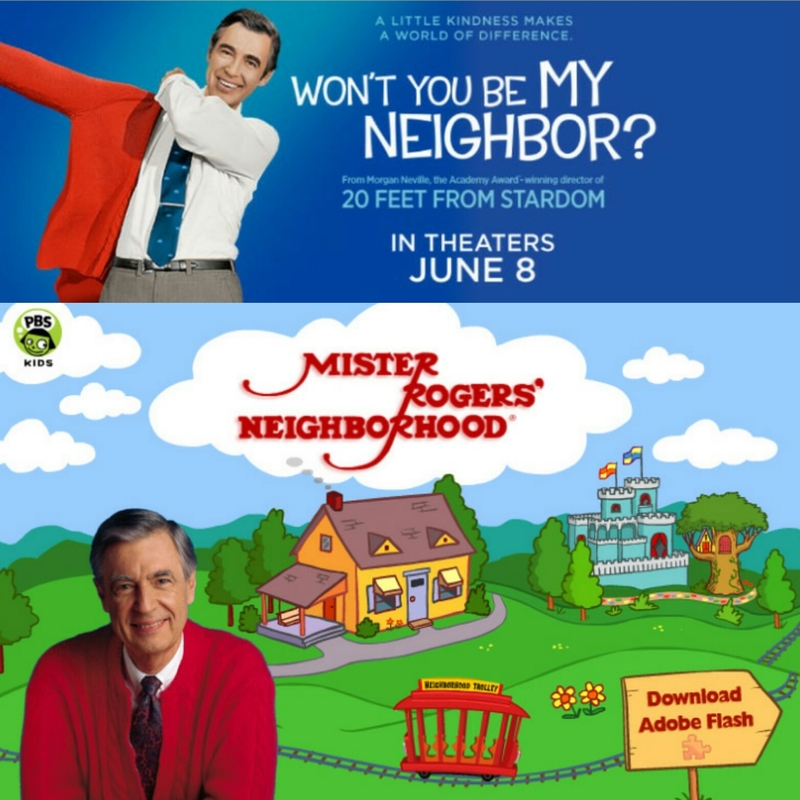 We also take a trip down memory lane and recall some of our favorite episodes of "Mister Rogers' Neighborhood," of which many episode can be found streaming on Amazon Prime. The movie is now available for streaming and on Blu-Ray or DVD. Seeing that the new horror film The Nun is in theaters, we decided NOT to review that movie. Insead we will look at some other movies about sisters of faith, including the 2017 film Noviciate and the comedy The Little Hours. Carrying on the theme in TV corner, we'll look at the British show "Call the Midwife" and the Netflix original "The Keepers." So come back next time, you'll have thing you'll want to talk about. We...will...too! This entry was posted on Monday, October 1st, 2018 at 7:32 pm	and is filed under Drama, Documantary, Family, Mister Rogers; Won't You Be My Neighbor?. Copyright © 2011 Robert Wright-Stasko and Michael Patti. All rights reserved.